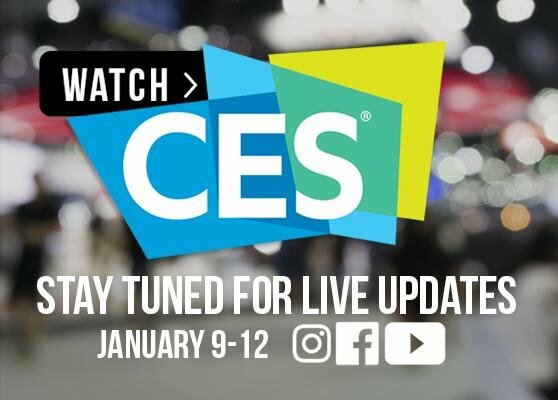 RC Willey will be broadcasting live from CES 2018 on January 9-12, 2018. This will be our third year in a row to show you all the coolest televisions, electronics, appliances and gadgets that you can expect to see next year and beyond, and many of these items will hit our showroom floors in a matter of weeks or months. CES is the Consumer Electronics tradeshow and is held in Las Vegas every January. Over 180,000 people will attend this show with nearly as many attendees as exhibitors. The point of the tradeshow varies for many. For us, we go to meet with our existing vendors and purchase the latest electronics from new vendors. The only way I can describe attending CES is this: Imagine how you feel when you are leaving a professional sports game and you are shoulder to shoulder in a crowd. Then, add in a volume level that you would experience in a Chuck E Cheese on a Saturday night. Mix in that feeling you get when you have been hunting in an antique store or garage sale for too long. It's overstimulation at its finest and I can't wait!!! Now let me tell you what you will experience from the comfort of your own home or desk. You will get front row seats and exclusive access to the biggest brands in the industry. We will get you one-on-one interviews with product experts and you will have the option to turn the volume down if it's too loud. Please join us and let us know what you think is cool!